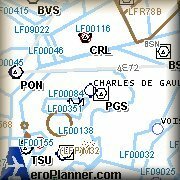 Fix For Charles de Gaulle Airport (LFPG) in Paris, France. Adds some of the missing apron polygons. By Simon Marsden.